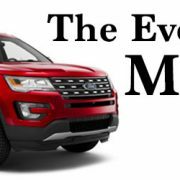 Our previous article discussed how adaptive vehicle options are growing to include SUV’s and take the comfort of the entire family into consideration. 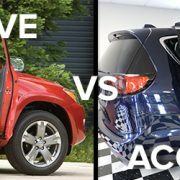 From VMI to BraunAbility, there are more options than ever to customize your vehicle to your unique accessibility needs. 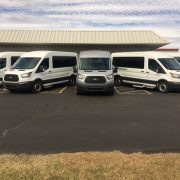 Many of these options can be overwhelming, so it is always a good idea to visit a dealer who is QAP-certified by the National Mobility Equipment Dealers Association. That way, you can discuss how different packages affect your day-to-day transportation. One such discussion might include what type of entry is right for you. The two most common options are side entry & rear entry. If you drive a pick-up, then the STOW-AWAY™ package from Bruno could be a viable option to allow for adaptive driver access to the vehicle while keeping the interior of the pick-up the same, an important consideration for vehicles that don’t have large interior floor plans. There are many considerations and questions to ask your certified mobility dealer. BraunAbility has written a very good article on side entry vs. rear entry with some of these questions included, and we encourage you to read that article. 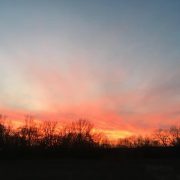 We want to take some of those thoughts and discuss how Kansas Truck Mobility can meet your needs. We will look at adaptability of front seat access, parking implications and finally the cost considerations of different entry options. If the person using a wheelchair wants to drive or be a passenger in the front seat, then side entry is the option to choose. This is because side entry vehicles typically have a removable front seat, according to BraunAbility. 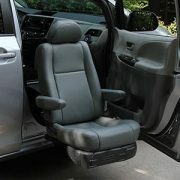 This allows for flexibility in options that allow the wheelchair to be located in the driver’s seat. Kansas Truck Mobility has a number of hand control driving aids for these layouts. Powered In-floor ramps allow for a layout that closely resembles other vehicles, since the ramp slides out from the floor, as opposed to a fold-out ramp, which can limit the layout options of the interior. Many of our models feature power in-floor ramps. You can see some of those conversion packages on our Inventory page. 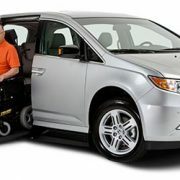 There are many advantages to side-entry wheelchair vehicles, and for that reason, it is the most popular option today. However, side-entry vehicles do not allow the wheelchair passenger to exit vehicle in any location. Rear-entry vehicles, however, allow for many more options when it comes to exiting the vehicle. If you plan on travelling by car a lot and need a versatile option for many different parking situations, a rear-entry vehicle might be the right call. According to BraunAbility, side entry is often more expensive than rear-entry, because it is a more versatile solution, and is often accompanied by other conversions, such as hand control driving aids. Kansas Truck Mobility was fortunate to be joined by Andrea Vrobel, executive director of the National Organization for Vehicle Accessibility at the 2017 Mobility Rodeo. There, she discussed alternative funding options. We want to do everything we can to get you into the vehicle that fits your needs. We invite you to come into our showroom to discuss your needs and what is available to you.